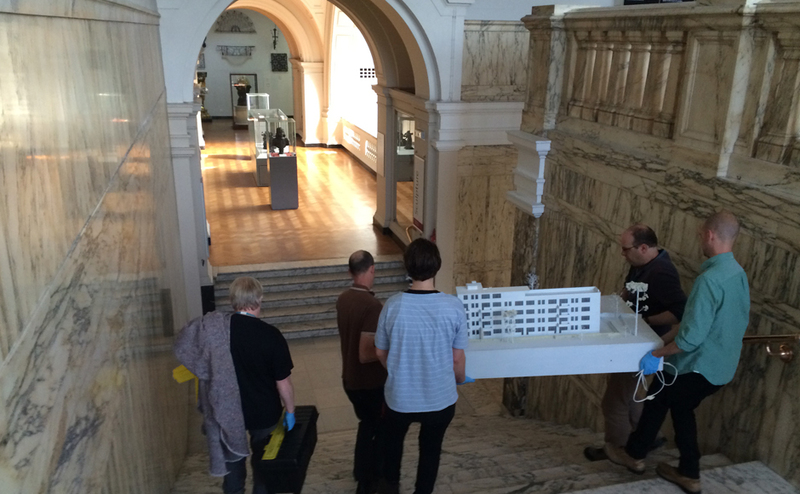 On Wednesday the 9th of July, the Grade I Listed Isokon building turns 80. To celebrate this, a public exhibition with the support of the National Trust will be opened with the unveiling of a plaque to celebrate its architect and creators. The Isokon Gallery Trust has been established by John Allan and Fiona Lamb of Avanti Architects, who with Notting Hill Housing restored the building in 2004, and Magnus Englund who is MD and co-founder of the design retailer Skandium. The Grade I listed Isokon Building, also known as Lawn Road Flats, Hampstead, London NW3, was almost lost to the nation but was saved ten years ago. 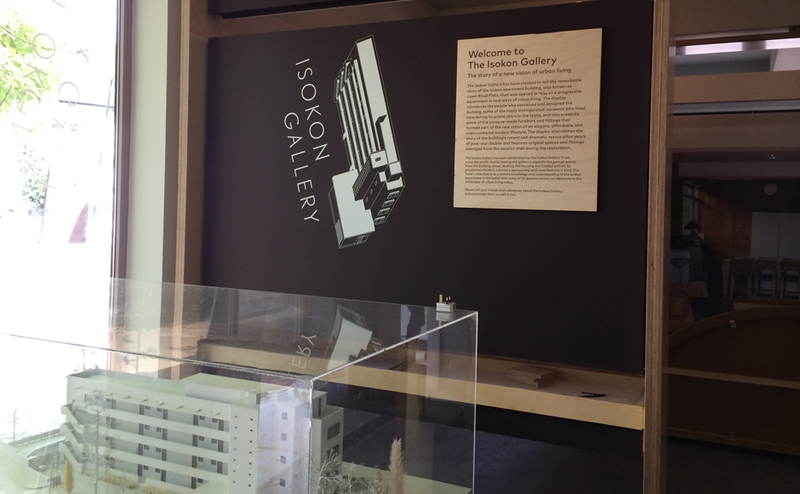 Now the Isokon Gallery Trust has fulfilled an intention of that rescue project by creating a public exhibition in the building, telling the history of Britain’s first modernist block of flats and how members of the Bauhaus, Soviet spies, artists, architects and authors including Agatha Christie came to live there. The Lawn Road Flats – also know as the Isokon Building – was the creation of Jack & Molly Pritchard and architect Wells Coates. Opening on 9th July 1934 it was not only the first modernist block of flats in Britain but also the home of notable émigrés, including Walter Gropius, founder of the Bauhaus, Marcel Breuer, designer of modernist furniture, and László Maholy-Nagy, head teacher of art at the Bauhaus school. It also attracted tenants like Arnold Deutsch, the NKVD (KGB) spy and recruiter of the Cambridge Five (a group which included Kim Philby), an episode that inspired John le Carré when he wrote Tinker Tailor Solider Spy. Between 1941 and 1947 the building was the home of Agatha Christie, so it seems fitting that she wrote her only spy novel, N or M, when she lived there. Jack Pritchard created the Isokon Furniture Company in the early 1930s and enlisted Coates, Gropius, Breuer, Egon Riss and later Ernest Race. In 1982 the production was taken over by Windmill Furniture, now Isokon Plus, which has worked with 2012 Olympic torch designers Barber Osgerby to extend the Isokon range. 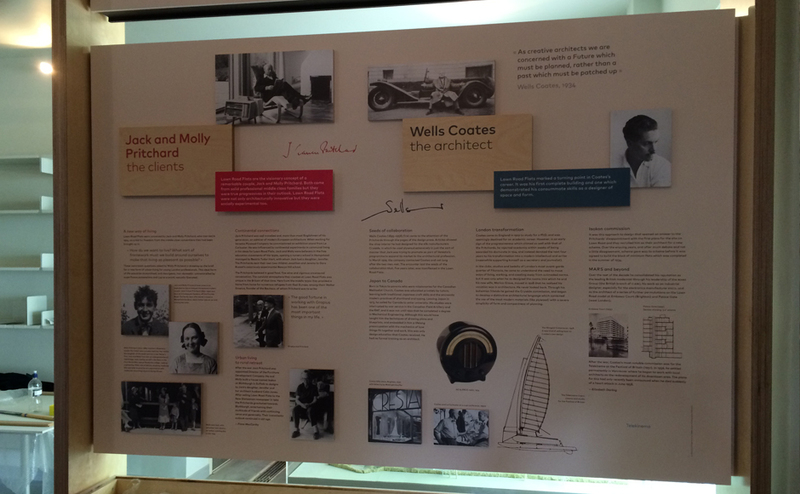 At 11am on the 9th July 2014 – the exact 80th anniversary of the opening on Lawn Road Flats – a plaque unveiling will take place in the presence of the families of the original architect Wells Coates and the clients Jack & Molly Pritchard, as well as the current owner Notting Hill Housing. The gallery will open every Saturday and Sunday from 11am until 4pm from the 12th July until the 26th October.